Outstanding image quality and high productivity: the Xaar 1003 C delivers exceptionally smooth print tones and solid areas which are perfect for printing amazing life-like images, pin sharp text and bold colours. It also delivers maximum production uptime with minimum operator intervention which ensures high production output and a fast return on investment. Xaar’s unique High Laydown (HL) Technology: achieve extremely high laydown levels with ceramics effects, so that effects can be printed at even higher line speeds. Peace of mind with continuous, lineless and reliable printing: multiple technologies unique to Xaar ensure continuous and reliable printing in single-pass operation, maximising production output, minimising production interruptions and reducing the need for operator intervention. Fully backward compatible with Xaar 1001* and Xaar 1002 – upgrade is quick and easy. * Use interface module if replacing a Xaar 1001 printhead. The Xaar 1003 C with High Laydown Technology is the benchmark against which all other single-pass printheads are compared. 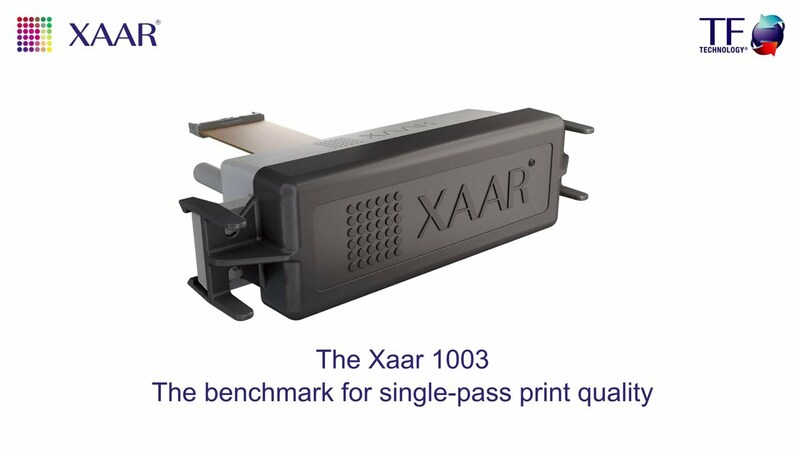 With its all-round superior performance, this printhead builds on the market-leading Xaar 1002 and its predecessor, the original and ground-breaking Xaar 1001. Andrea Porta, Oscar Ceramics, Italy. Laurent Jacquemin, Parefeuille Provence, France.